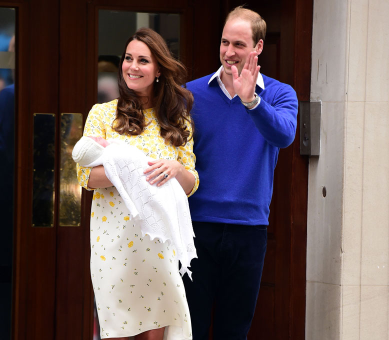 Together with the world, Midwives Alliance of North America (MANA) celebrates the arrival of a new royal baby girl for the Duke and Duchess of Cambridge. While most news reports shared the names of the medical team, the reality is the baby was born into the hands of a midwife. In fact, Kate, The Duchess of Cambridge, was cared for by a pair of midwives, in a health system where midwifery led practice is the standard of care. Last week, here in the United States, Midwives Alliance was encouraged by the new policy statement issued by American College of Obstetricians and Gynecologists (ACOG) entitled: ACOG Endorses the International Confederation of Midwives Standards for Midwifery Education, Training, Licensure And Regulation. This document, a companion piece to another 2015 consensus document, entitled Levels of Maternal Care, was prepared by ACOG and the Society for Maternal and Fetal Medicine. With this endorsement, ACOG endorses the ICM education and training standards and strongly advocates the ICM criteria as a baseline for midwife licensure in the United States, through legislation and regulation. As an International Confederation of Midwives (ICM) membership association since 1984, MANA has been an active participant in the development of all the ICM Global Standards, including the three pillars of Education, Regulation and Member Association, with the intention to "strengthen midwifery worldwide in order to provide high quality, evidence-based health services for women, newborns, and childbearing families." MANA also helped to develop and officially recognizes the ICM International Definition of the Midwife. Midwives Alliance acknowledges multiple learning styles, and values numerous training pathways, including the experiential education model recognized by the ICM emphasis on competency based education. We are proud to be working in collaboration with other national organizations to develop methods of accrediting direct assessment of student knowledge and learning. We support CPM licensure in all 50 states. As the US struggles with a rising maternal mortality rate, the highest in the developed world and nearly three times that of the United Kingdom, we might consider that midwives attend 80% of births there, with obstetric care reserved for high-risk specialty cases. Midwife led care is the standard in Britain for all, including members of the royal family. When Prince William presented Royal College of Midwives President Lesley Page with the Commander of the British Empire (CBE) award in 2014, he made it clear to her that he knew about the role and the value of the midwife. Those values were put into practice when his wife Kate, the Duchess of Cambridge, gave birth to both of their children with the care of midwives. Thank you for this intelligently crafted post, Colleen. It is great to see the dots connected between a maternity care system that works well with midwifery as its central pillar, as in the United Kingdom, and using midwives as the care provider of choice for all births, including delivering royalty--the new baby girl for the Duke and Duchess of Cambridge. Nothing but the best to receive the little princess into the world! And thank you, MANA, for your continued support of the ICM vision, standards and tools. Onward! A friendly reminder . . .
We have received comments on this thread that didn't include a name (as required by our community guidelines) or an email (which we keep private, but we ask for so we can check back in and ask your name!). We welcome you to resubmit your comment with the above information. Thanks!